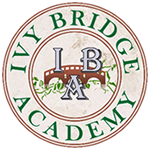 Ivy Bridge Academy is offering 1 week long Debate Summer Camp sessions teaching public forum debate. The program is open to all students entering 4th-12thgrade. (4th-5th Grade Class/MS Class/HS Class) Maximum of 10 students per class. Summer Debate Camps provide an interactive learning environment that is both fun and educational. Mike Lacy – 4-time National Debate Tournament qualifier, 3-time top 16 college debate team in the nation, and has worked at debate camps across the country including at Emory University, the University of Georgia, the University of Michigan, and Michigan State University. Zach Strother – Experienced high school debate coach, has worked as coach for first-year debaters at the Westminster Schools and Johns Creek High School, and has worked at the University of Michigan debate camp. Stephen Weil – Winner of the 2005 Tournament of Champions, 4-time National Debate Tournament qualifier, 4-time top 10 college debate team in the nation, 2-time recipient of the Copeland Award given to the best college team in the nation, and has worked at multiple debate camps including at Emory University and the University of Michigan. Patrick Smith – Qualified for Tournament of Champions, winner of multiple regional tournaments, and has taught debate at multiple Georgia schools. Patrick has been teaching at Ivy Bridge for 2 years. Adam Grellinger – Adam has extensive experience both as a late elimination debater in collegiate national debate tournaments and as a lead debate instructor. Some of Adam’s recent debate coaching experiences include Lab Leader at the University of Georgia Debate Institute, and Johns Creek High School Varsity Debate Coach. Additionally, Adam has a wide ranging experience in tutoring high school and middle school students in a wide range of topics, including math, english, and , SAT & ACT prep.